AAAAAGH WHAT THE HELL JUST HAPPENED!? I’m going to have to rewatch the whole show, to see just how many hints were dropped about this, and how much foreshadowing there is about this, because oh my lord, I never saw this coming. 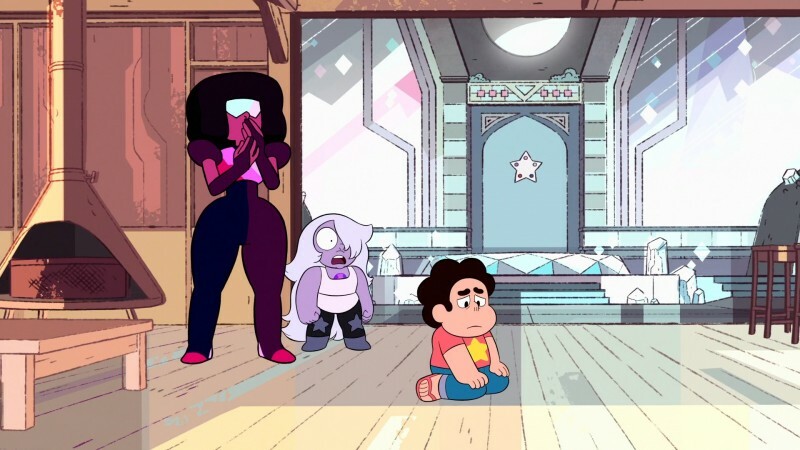 I mean, I had an inkling that something was off with the whole “Pink Diamond was shattered by Rose Quartz!” thing – during Steven’s trial, when Blue Zircon pointed out that there was no way that a known fugitive from Homeworld could get close enough to Pink Diamond to shatter her gem, that it had to be someone close to her, that’s when I thought that maybe Rose was framed. And then Steven started having those visions about Pink Diamond, similar to the ones he had about Blue Diamond, where he was experiencing things she was experiencing, but these were different – these had to be from the past, because Pink Diamond was shattered, right? And we get our first glimpse of Pink Diamond during one of these visions. But no – we find out, through a very emotional trip into Pearl’s gem and through the many compartmentalized versions of herself, that Pink Diamond wasn’t shattered. Instead, she faked it all and went on to live her life as Rose Quartz. And forbade Pearl to ever speak of these events, ever. 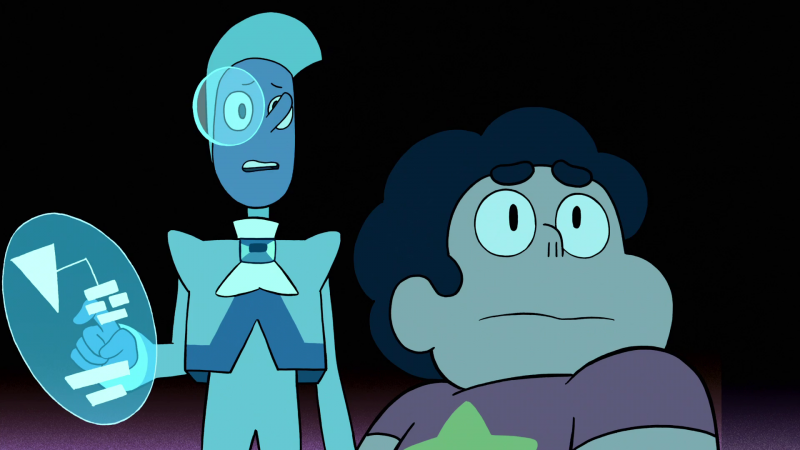 And then Steven finds out the truth, and everyone’s brain is broken. 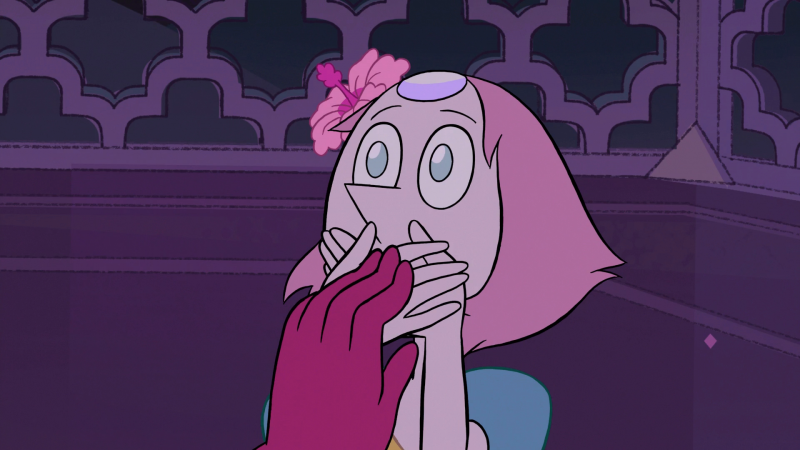 Seriously, I just about dropped my knitting when that whole scene with Pink Diamond and Pearl played out, I was so stunned. There are so many theories out there about what made Pink Diamond decide to fake her own death and live out her life as Rose. Personally? I think that once she got her own colony, and discovered the life forms here on Earth and found everything here so fascinating, she didn’t want the Earth destroyed like the other gem colonies. She wanted to keep it safe, which seems to me like one of the first selfless acts we see from Pink Diamond, who initially comes across as rather selfish and immature. In Jungle Moon, we see her demanding a colony of her own, and while Stevonnie is playing the role of Pink Diamond in this vision, I’m pretty sure that’s how Pink acted when the events actually occurred. When we see her in Can’t Go Back, it seems like she’s tired of running the Earth colony, and is trying to get out of the job. Even when she’s made those plans with Pearl to fake her own shattering, she still seems so young, so childish. 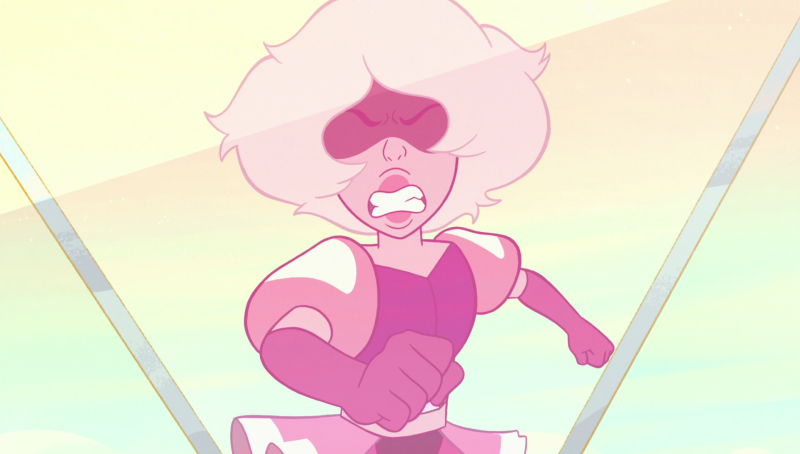 By the time we see Rose/Pink with Greg, in episodes earlier on in the show, she seems so much more mature – and maybe faking her own death in an attempt to push the Diamonds away from Earth, despite her not quite realizing how they might react, was the first step on that road to maturity. She might have thought that the Diamonds would just give up and go away – but instead, they unleashed that devastating attack on Earth. 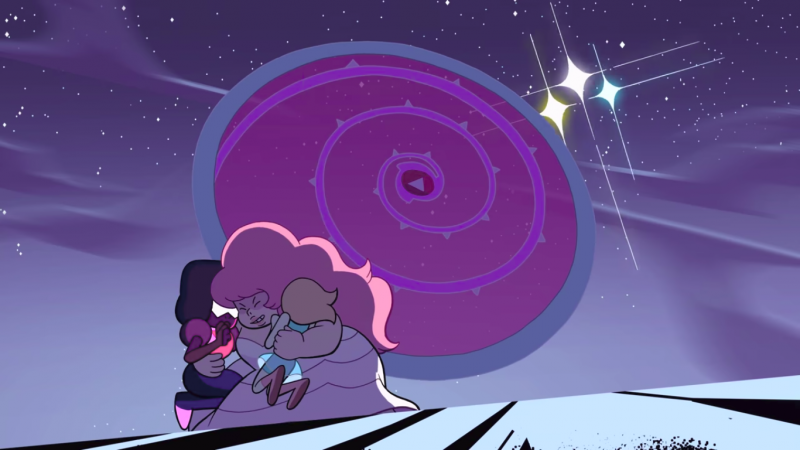 I need to re-watch the show with all this new information in mind, and pay more attention to Rose/Pink’s character development – as someone on the Steven Universe subreddit pointed out, we essentially saw her character devolve from the Rose we knew to the spoiled Pink Diamond we see in Jungle Moon. And it’s true – our first glimpse of Rose Quartz is in the video she left for Steven, and she’s so very serious, so mature, especially in comparison to when we first see Pink Diamond. I’m likely going to ramble about this again on the blog, as I work my way through the series again with a more critical eye. I want to talk a little bit more about Can’t Go Back, but in a different light than my overanalysis of Pink Diamond and Rose Quartz. This is more personal, and something I just need to ramble about. You’re welcome to skip it if you wish. 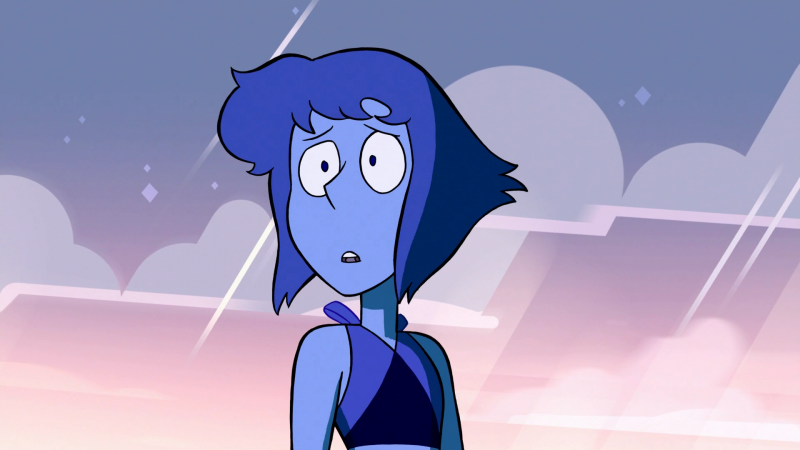 I’ve always identified pretty strongly with Lapis – I don’t talk about it often, but I’ve dealt with so many of the same things Lapis has. We both deal with the results of trauma from our pasts, we’ve struggled with abusive relationships, and we’re both trying to heal from that damage. 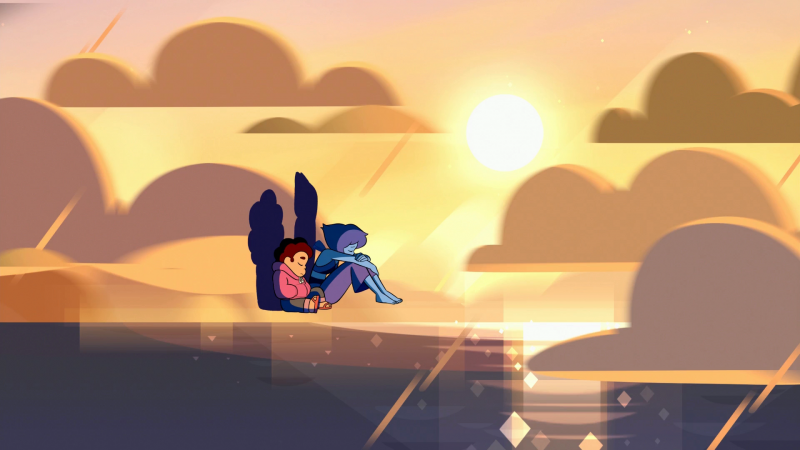 And Can’t Go Back struck such a chord with me, so much so that I spent the rest of the episode (and the majority of the rest of the evening, to be honest) weeping into the plush Lapis that usually lives in my car. I’ve wanted to run and hide from things because I couldn’t trust that they’d be different than what I’d experienced in the past. I have run from bad things that have happened to me, and found someplace to hide until I felt brave enough to face the world again. And seeing Lapis go through that in Can’t Go Back, after hearing about how Steven had a vision of Pink Diamond, oh, it hit me in the feels. I didn’t want Lapis to run. I wanted her to stay, to try and recover, to go back to her friends on Earth. You can’t rush recovery, though. You can’t push someone to “just be okay”. I know this from experience, lots and lots of experience. 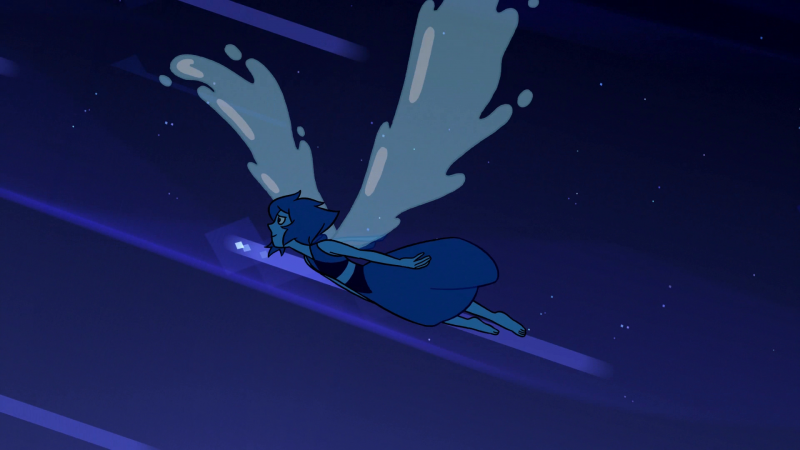 So I’m going to hope that Lapis comes back – that she heals enough to trust that the Diamonds aren’t after her, and to feel safe with Peridot and Steven and the Crystal Gems again. I know how she feels all too well, and I can say, there is light at the other end of the tunnel – but don’t push yourself towards that light faster than you need to. Get there on your own terms, on your own time. And don’t forget, you’re not alone. Your friends will be waiting there to help, when you need it.